Cello Aviation is adding a Boeing 737 to its fleet in a major development for the Birmingham based carrier. It has purchased a Boeing 737-400 that will become operational with the carrier in early 2015 and is expected to create an additional 25 new jobs. The acquisition is a major development for Cello that currently operates two aircraft, a BAe146 in 46 seat luxury configuration and a BAe RJ85 with 82 seats. 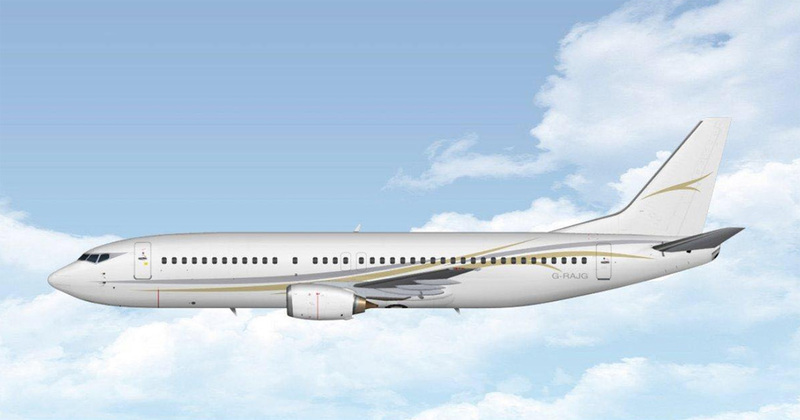 When the Boeing, which has just completed a major maintenance check, enters service it will have undergone an interior refit and been painted in Cello colours. The aircraft has 165 passenger seats but its design allows Cello to offer various fixed and quick change business and economy configurations. It also has a range of over 2,000 nautical miles enabling it to fly direct from the UK to places such as Turkey, The Canaries and North Africa. It is anticipated that the Boeing 737-400 will result in additional jobs for cabin crew, flight crew and administrative roles at Cello’s base at Birmingham Airport. Cello Aviation was founded in 2010 and has become established as a major player in the European VIP charter sector but has also been broadening its portfolio to take on sub charter flying (ACMI) in support of other carriers including British Airways Cityflyer and Flybe.